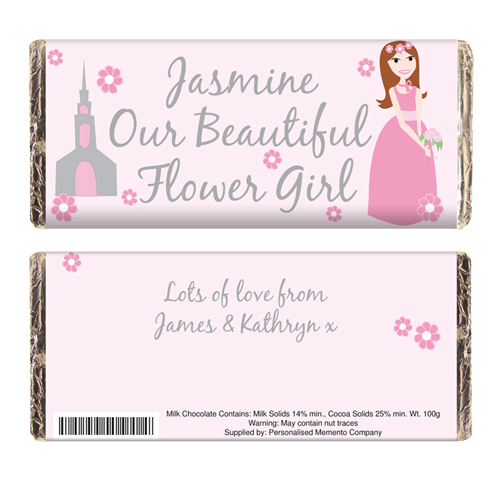 This pretty milk chocolate bar makes a perfect thank you gift for your flower girl. Personalise the front of the bar with any name (up to 15 characters) before the fixed wording Our Beautiful Flower Girl. Then personalise the back with your own message over two lines (up to 30 characters per line). Personalise the front of the bar with any name (up to 15 characters) before the fixed wording Our Beautiful Flower Girl. Then personalise the back with your own message over two lines (up to 30 characters per line).